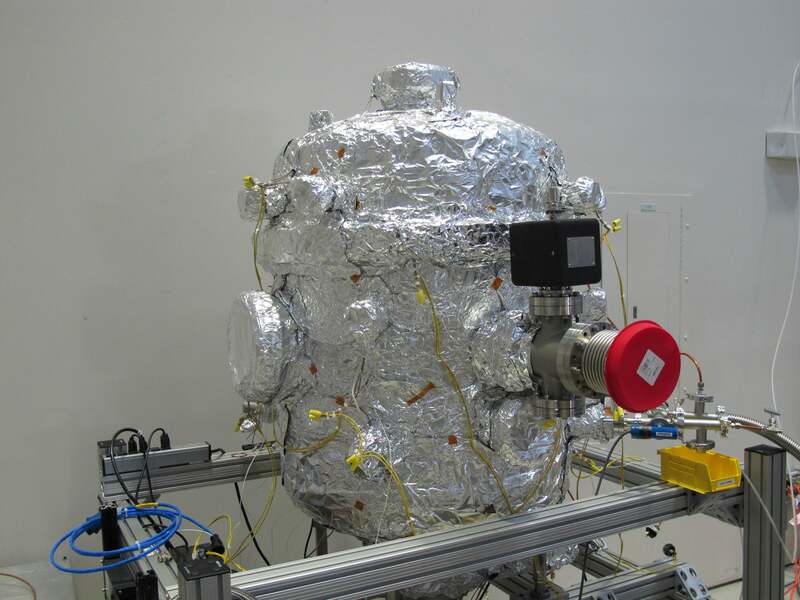 A 3 MV linear electrostatic dust accelerator which is used for a variety of impact research activities as well as calibrating dust instruments fro space application. The 3 MV Pelletron generator is capable of accelerating micron and submicron particles of various materials to velocities approaching 100 km/s. Dedicated chambers that can be directly connected to the DAL for impact experiments requiring very clean conditions with exceptionally low background gas pressure, extreme cold temps, or various atmospheric gas pressures. Spectroscopic data for compositional information about unexplored or unsampled planetary surfaces. Can obtain high precision, high spectral resolution, bidirectional reflectance spectra of earth and planetary materials. 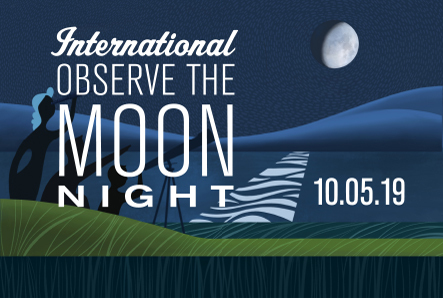 Spectroscopic tools allow examination of geologic materials similar to those that are present on Mars, the Moon, or other solar system bodies for better interpretations of remote sensing data. 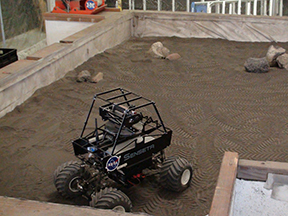 The 4m x 4m x 0.5m testbed at NASA Ames is filled with 8 tons of JSC-1A regolith simulant. The Swamp Works Regolith Bins at KSC are a 120 ton bin with BP-1 and ~4 ton bin of JSC-1A — both excellent for investigations in resource prospecting and regolith. A new dedicated 1 MeV proton beam line used to create radiation-stimulated defects in materials to help determine low energy H retention effects. 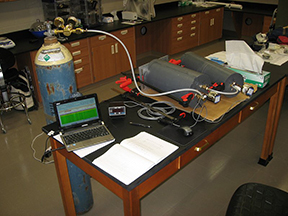 The fully equipped density laboratory at the University of Central Florida includes: (1) A Quantachrome Ultrapycnometer 1200 with sample chambers of 10, 50, and 135 cm3. Errors for the Ultrapycnometer are quite small, about 0.06 cm3 for the largest sample chamber size, and 0.02 cm3 for the smallest. 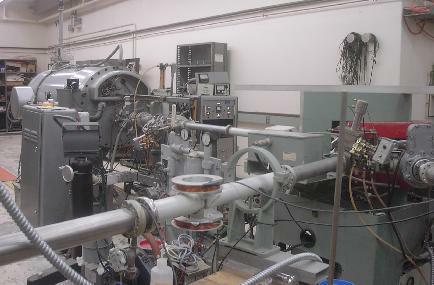 (2) A new custom-built pycnometer for much larger samples with sample chambers of 163, 405, and 1030 cm3. In addition, this instrument has a special insert for thin slabs (up to ¼ in. thick, meteorites in private collections are often available as thin slices) with an effective volume 86 cm3. Both pycnometers have typical uncertainties of better than 0.5%. (3) ZH Instruments SM-30 magnetic susceptibility meter. 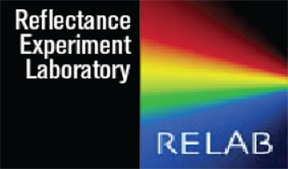 (4) A fieldspec reflectance spectrometer with a wavelength range of 0.4-2.5 microns. The drop tower provides a zero g experience with a high speed camera set up to fall along with the experiment (allows 0.7sec of freefall). An LED backlight makes it easy to track individual ejecta particles. Images are recorded with a high-resolution camera at 500 frames/second, which allows tracking of individual particles. 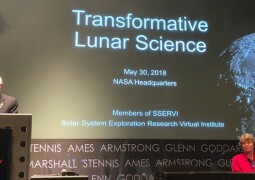 On May 30th, NASA held the Transformative Lunar Science talks in the James Webb auditorium at NASA Headquarters.